Champagne yeast idea for any sparkling wines or champagne sufficient for 23 litres\/ 5 Gallons. Mix yeast with warm water then simply sprinkle on. 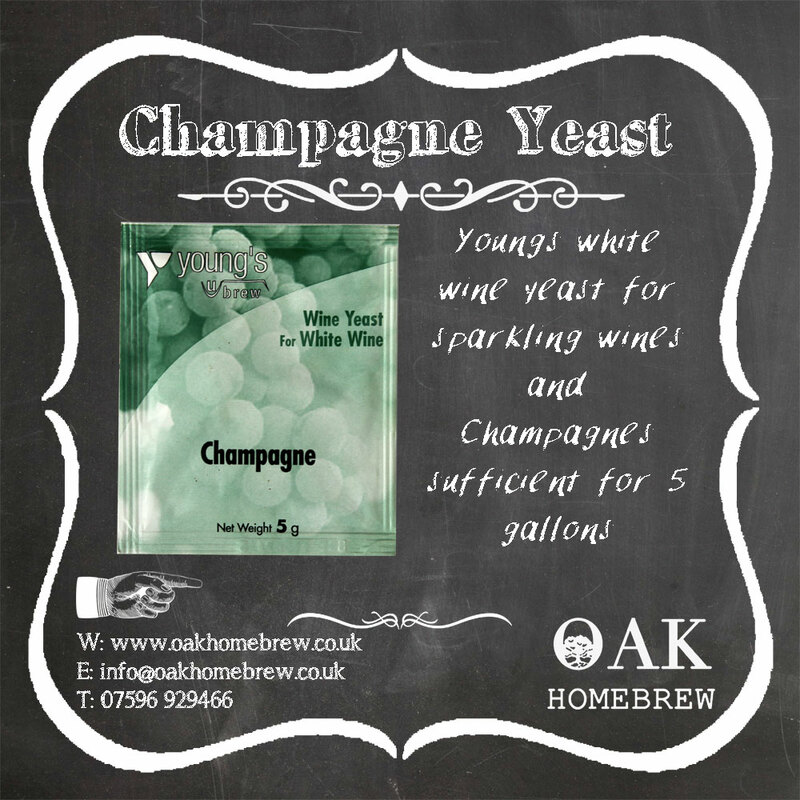 Champagne yeast idea for any sparkling wines or champagne sufficient for 23 litres/ 5 Gallons.